Life is Strange 2 is coming later this month, but that doesn't mean we need to forget about Arcadia Bay and Blackwell Academy just yet. Dontnod has collaborated with comic publisher Titan Books to publish Life is Strange – Welcome To Blackwell Academy. 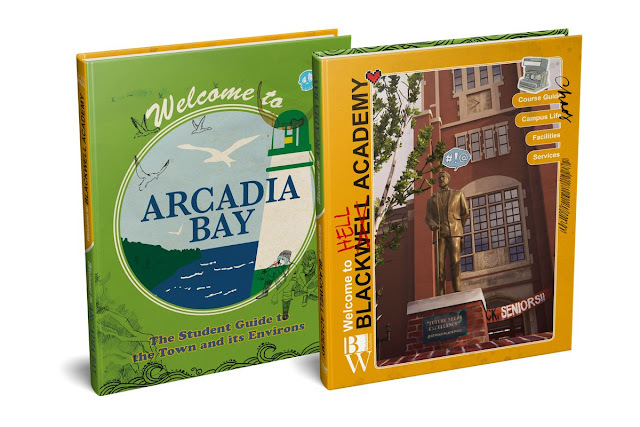 The book doubles as a guide to Blackwell Academy as well as for Arcadia Bay, the fictional town in which the game is set. The guides have Mx and Chloe's scribbles and doodles all over them, reminding me very much of Harry Potter's Quidditch Through the Ages and Fantastic Beasts Aand Where to Find Them. Pre-orders are available now on Amazon, but I highly recommend you go through a local comic shop for this one! Life is Strange – Welcome To Blackwell Academy will be released on October 9. Bendy and the Ink Machine (BATIM) is a massive hit already: four of the five chapters are available on Steam now, there is a free mobile game that recently launched (Bendy in Nightmare Run), and there are dozens of merchandise options available at Hot Topic. Despite all this, the moment everyone is the most excited about is here. The final chapter is ready, the console launch is imminent, and we have a release date! BATIM is a survival horror game often compared to Five Nights at Freddy's, although I vastly prefer the former. Set in the late 60s, the game is dripping with inky style. It follows a retired cartoonist who returns to his old studio, unprepared for the nightmare waiting for him. Inky, terrifying creatures come from the Ink Machine itself. As for Bendy, once he catches Henry, you're instantly dead. Originally created by TheMeatly Games, the studio behind the game is now titled Joey Drew Studios Inc. Rooster Teeth joined the team this year as a console publisher. Chapter Five will be released for PC alongside the console launch on October 26. BATIM will be available on that date for PlayStation 4 and Xbox One; a Nintendo Switch release is coming "soon." Here's the new story trailer for The Caligula Effect: Overdose! People use the world to relive their high school years, but in the game you'll be trying to escape with your fellow students. Overdose add the ability to play as the original male or new female protagonist. Aside from that change, this updated version includes enhanced graphics, new scenarios, and a "Forbidden Musician Route" to take while escaping. The Caligula Effect: Overdose will be coming West to Nintendo Switch, PC, and PlayStation 4 early next year. We're itching the launch of RPG Maker MV, but we won't be for much longer! Actually, scratch that (ha). The date seems like a lifetime away, so we'll be waiting several months longer for RPG Maker MV to come to Nintendo Switch, PlayStation 4, and Xbox One. RPG Maker MV allows you to create an RPG, share your creation, and play the games of others. It promises to be straightforward, with no coding and hundreds of assets. NIS America has announced the title will be released on February 26, 2019 in North America. The Japanese release date is November 15, 2018. But there's no word on a European release date yet. 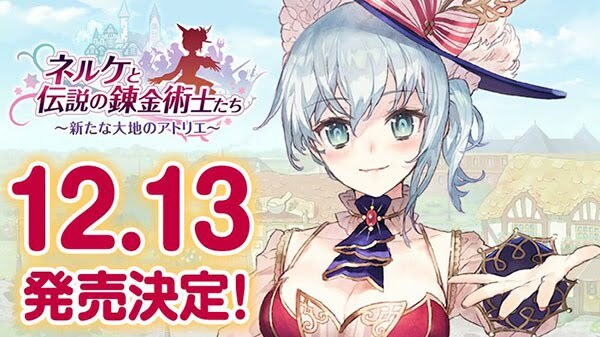 Nelke & the Legendary Alchemists: Ateliers of the New World is a town building game set in the world of Gust's Atelier series. We've talked about it several times before, but you can read up on its Western launch here. While we still only have a "this winter" release date for North American and Europe, Koei Tecmo has announced the Japanese release date: December 13. That's only a week before winter begins, so with any luck the Western release date won't be too far behind! You know we'll update you as soon as we can. Nelke & the Legendary Alchemists will be available for Nintendo Switch, PC, PlayStation 4, and PS Vita.